There is a story I tell on the first day of almost every class I teach. 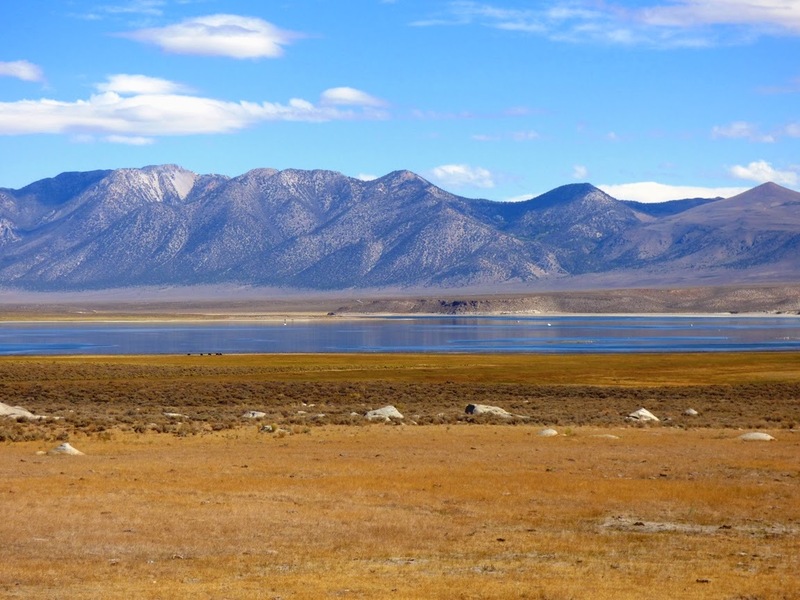 It's about a place filled with the evidence of one of the great explosions in Earth history, near Mammoth Lakes in the eastern Sierra Nevada. The students in the picture above are standing on the edge of a gorge that exposes some aspects of the explosion, but no one place reveals the full magnitude of what happened here. We made a number of stops many miles apart, but it's hard to comprehend the full scale of the blast. It's just too big. In this mini-blog series, we've been exploring the Sierra Nevada beyond the very limiting confines of Yosemite Valley and Yosemite National Park. 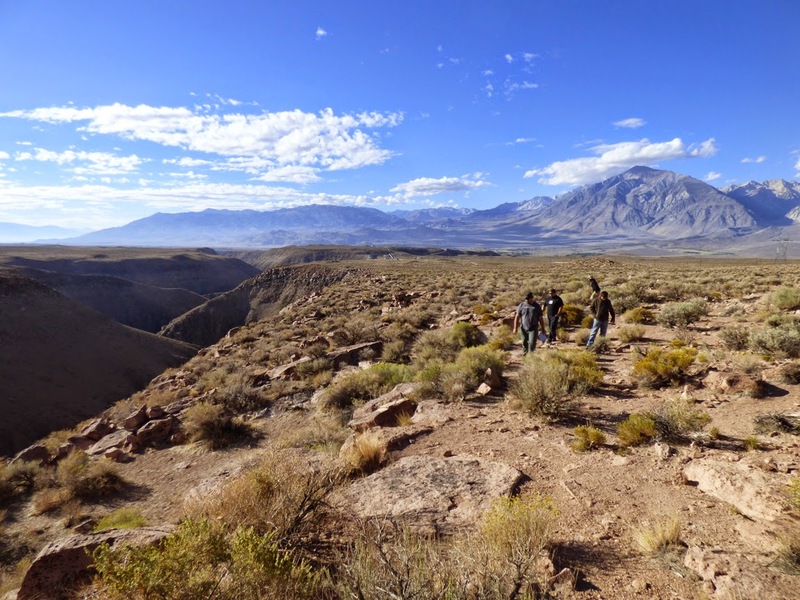 Our fall field studies trip took us down the Owens Valley and some of the lands east of the Sierra Nevada crest, including this gigantic hole that actually breached the mountain wall. 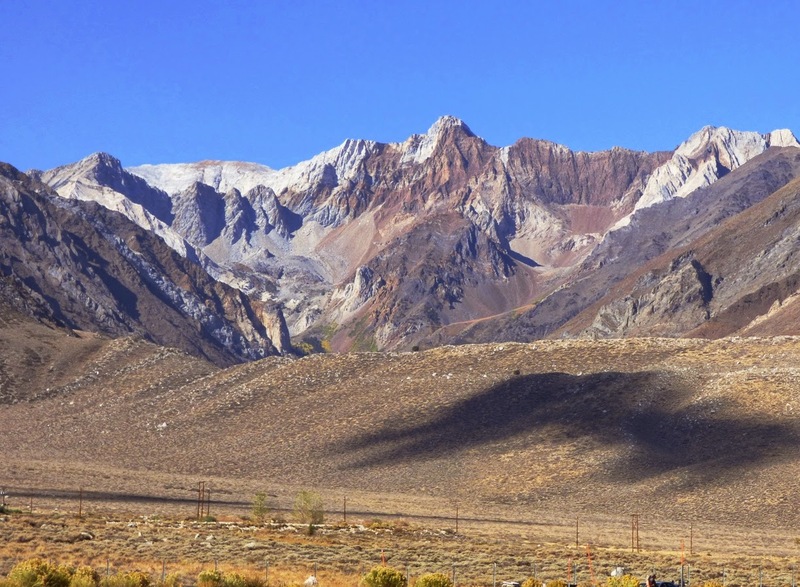 The lower section of the crest allows Pacific storms to blow through, dropping prodigious amounts of snow, especially on Mammoth Mountain, a volcano that developed on the edge of the caldera thousands of years after the climactic blast. Many thousands of years later, it was decided that this was a perfect place to put a ski resort. 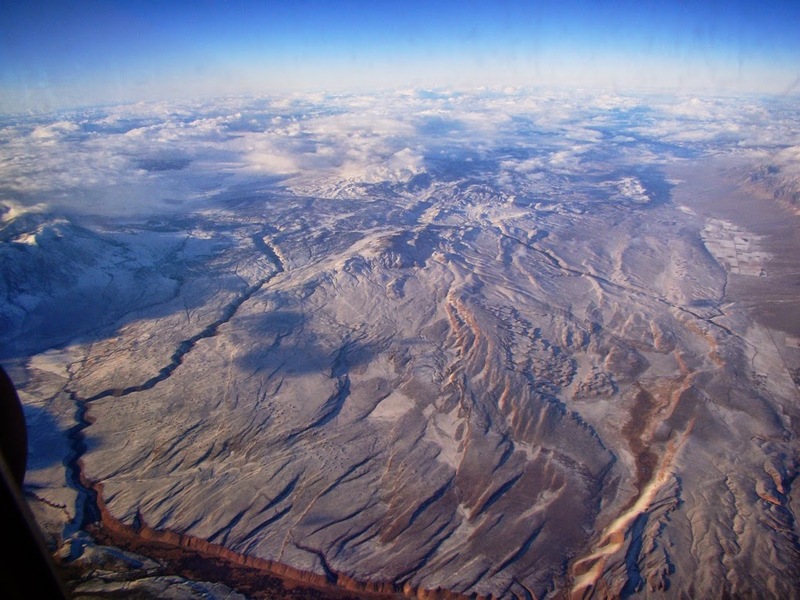 The Owens River Gorge on the margin of the Long Valley Caldera. The caldera filled with water, and for thousands of years there was a lake. 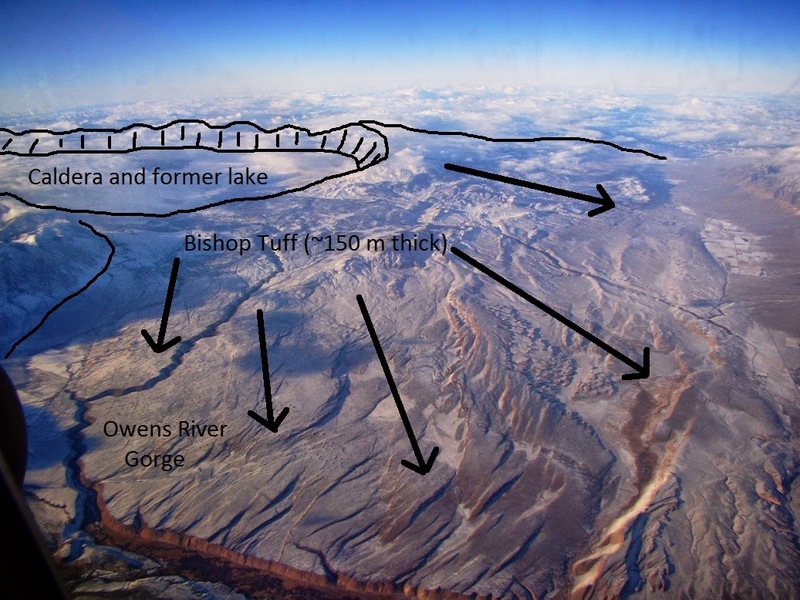 Eventually it breached the south edge of the caldera and drained. 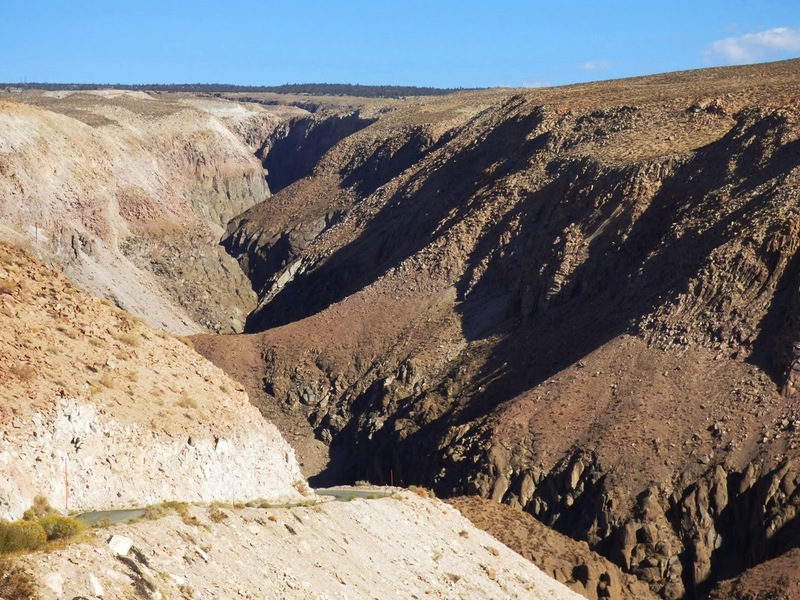 The resulting Owens River carved a 400 foot deep gorge in a short period of time (above), and the canyon walls provide a marvelous cross-section of the strange volcanic rock. The edge of the Long Valley Caldera along the Sierra Nevada crest. The caldera is a stunning place to visit and contemplate, but that's not actually the story I tell my students on the first day of most of my classes. The story concerns an incident at Mammoth Lakes dating from the early 1980s which still has huge implications in the present day. It's about civic responsibility and public safety in the face of deadly geologic hazards, and how geologists found themselves stuck between a volcano and a hard place. The purpose of telling the story to my classes is to highlight the danger of willful geological ignorance. On May 18, 1980, Mt. St. Helens exploded with unexpected ferocity, killing nearly four dozen people. The U.S. Geological Survey was caught off guard in terms of predicting the moment of the eruption, as they did not yet understand the dynamics of Cascades volcanoes. Only a week or so later, a series of four magnitude 6 earthquakes struck the Mammoth Lakes region, injuring a number of people and causing several million dollars of damage. Many more earthquakes followed, and with the location of the epicenters being within the caldera, the geologists became concerned. They deployed more instruments in the region, and discovered that the floor of the caldera had been rising, some 10 inches between 1979 and 1980. Even more disturbing was the discovery that the earthquakes were migrating, and becoming more shallow, ultimately reaching a mere 7,000 feet or so beneath the surface. New steam vents were opening up (although geothermal activity has always been present). As I say to my students on their first day of class, "You've been geologists for 45 minutes now, what do YOU think was going on?" 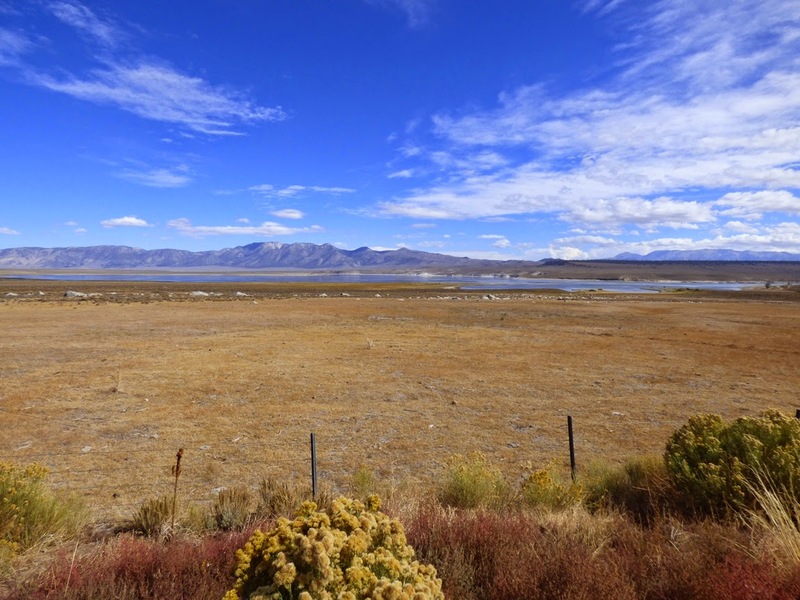 The floor of the Long Valley Caldera with Crowley Lake, and Glass Mountain on the far rim of the caldera. The people of Mammoth Lakes apparently only knew that they were getting a lot of earthquakes. There wasn't a lot of communication between the geologists who were researching the increasing activity and the government and emergency personnel responsible for the safety of the community. I imagine that this occurred (and still occurs today) because of the vast amount of uncertainty involved in predicting geologic events. Who would want to go out on a very long limb and suggest that a town could be on the cusp of a very dangerous, even catastrophic event? You may remember the recent case of geologists in Italy who were jailed because they didn't predict a deadly earthquake. NOTICE OF POTENTIAL HAZARD-Information on the location and possible magnitude of a potentially hazardous geologic condition. However, available evidence is insufficient to suggest that a hazardous event is imminent or evidence has not been developed to determine the time of occurrence. HAZARD WATCH-Information, as it develops from a monitoring program or from observed precursors, that a potentially catastrophic event of a generally predictable magnitude may occur within an indefinite time (possibly months to years). HAZARD WARNING-Information (prediction) as to the time, location, and magnitude of a potentially disastrous geologic event. Give it some thought...given the intense geologic activity, what would you do? Would you notify the civic authorities? Would you go to the media? Is it possible that the media might report the facts as they are known, or would there be a tendency to go overboard on their coverage? Keep in mind the difference between 1983 and the present day when numerous cable news networks have to keep talking 24 hours a day. Or, would you keep things quiet, and hope that the geologic activity would die down without any catastrophes occurring? What happens if you quash your findings, and an eruption takes place? What is your liability in the deaths and injuries that result? Is there an easy answer here? We are having a similar problem with the wilful ignorance of flood in our local area by councils. Gary, I commented earlier about the rain shadow effect at Bodie. you just put another piece in the puzzle for me. I look at google maps terrain view a lot, but it never occurred to me that Mammoth has a lot of snow for being east of the crest. Google earth in oblique view clearly shows the passage through the crest that bypasses the rain shadow effect. A great post and a great cliffhanger for part 2.